So it's the last day of February. You made it one more day gone one more month conquered, but until what? Until your kids are grown, you've found your soul mate, or you've reached the ultimate financial or social status. What are you waiting for to live? I often find myself slipping into a pattern of just waiting for something to happen. Now I've been doing work so the duration isn't as long as it once was and I'm certainly looking forward to day that fully living is just what I do. I had one of these episodes about the end of December the first part of January. I just wanted to make it through the day, through the month, through the winter.... My soul loves sunshine so the winter months can be harsh for me. I just want to hibernate through and then come out with the sun in a few months. I think Heavenly father knew I needed a spring like February this year. I can't tell you the exact day that I recognized my pattern of just existing but I can tell you I saw it and knew I wasn't loving myself enough to live life fully. I find that when I'm self critical/hating on myself, I tend to find this mode of survival easy to slip into. It's like that comfy pair of sweat pants that just make you feel better when you're sick. You know the ones I'm talking about fleece lined love being in them curled up on the couch pants. Okay back to hating on myself. I was seeing all the flaws, why can't I just find that special someone? Is there something wrong with me? I probably just gained about 20 lbs over the holidays. Gosh why can't I treat my body better? I'll spare you the rest of the gory details. I think you get the gist. I really wanted to meet a the guy through December I put my hopes and dreams up on a pedestal and thought if I had enough faith and worked hard enough. You know put myself "out there" it would all work itself out. I joined a dating site, put the word out to everyone that is anyone and even tried my hand at the singles ward. Long story short... dead end after dead end, not even a single date came out of it. "My plan" wasn't working and the bad toxic self talk crept in seeping through every shattered thought and dream and the hibernation began. I wasn't loving myself friends I was being down right nasty and one night I just broke. tears, heartache, grief. My loving friend and roommate just happened to be there to assist in picking up the pieces and read me this quote. "He's not waiting for us to be perfect. Perfect people don't need a Savior. He came to save us in our imperfections. He is the Lord of the living, and the living make mistakes. He's not embarrassed by us. angry at us or shocked. He wants us in our brokenness, in our unhappiness, in our guilt and our grief." I had gotten the quote in a relief society lesson a few weeks earlier and it had touched me then, but when she read it to me I felt this rush of love pore into my soul. I felt the pure love of Christ rush in and sweep out all the bad thoughts. I remembered who I am and that I have a loving Heavenly Father. He has an amazing and loving plan for me. I chose then to begin loving myself and fully living life again. It's a choice my loving sisters. Choose to Love the life you have it's the only one you've got. Choose to Be present, live in the now and enjoy it. Choose to hold gratitude for the frustration and trials in life because he's got a better plan for us then we do for ourselves. Choose to love yourself with the same pure love that our Heavenly Father loves you with. I have been thinking about the challenge this month and I really wanted to do my best and have great story to tell you. Honestly I don't know that it will be an uplifting, spiritual, fantastic, or anything climatic. Life happens and trials come in and everyone feels like it would be better to go to bed and face everything the next day. This would be me the last little bit. I wrote that intro as I was listing to In Too Deep by Sum 41. Here is the first part of the song that I was listening to. Maybe we're just trying too hard. My husband was in the hall working on the salt water fish tank and asked if I was trying to tell him something. I laughed to myself and let the song continue. After playing it twice, and hitting the back button to play it for a third time, he asked me if I was ok. I told him I was struggling to write positive things about Love because all I can think about is one part of my life that I am NOT feeling the love from right now. While trying to explain that to him tears came floating to the surface which brought him into the room. He heard me out and then asked about us and if I was feeling the love he had for me. I said yes I knew he loved me to which he suggested I should right about that. When I have a trial, obstacle, or just plain life experience that brings me down, the focus becomes on that one thing. Thats how I have been lately. I got so consumed and invested in this life experience to the point that joy was hard to find and frustration became prevalent. It took breaking down to my husband to realize this. I was looking for joy, satisfaction, and love to come from the experience, but it didn't. What I failed to recognize was the love and support that I was receiving from Eddy through every step of the way. He was there to hear my complaints, rants, sobs, and everything else in between and I was definitely giving it to him. He took it all in and showered me with love, but I was too blind by frustration to see it. How many times do we say prayers to our Heavenly Father with complaints, rants, sobs, and everything else in between and feel like we aren't loved? I am here to tell you that our Heavenly Father loves EVERYONE and shows His love for you on a continual basis. You just have to look for that love in the right place. It might be in someone calling to see how you are doing when you have had a bad day or a tender mercy of the crazy toddler taking an hour nap in the afternoon. It is somewhere in your life I promise. You just have to look for where it is and not where it isn't. It was hard for me to see at first but once I switched my focus, I began to see just how much love Eddy had given me and continues to give me. I am so thankful for his words of wisdom and most of all for his love. Look for love in the right place and tell us where that is for you in your life. Feel free to share what you found. Have a good week y'all. “Love one another; as I have loved you” (John 13:34). On this simple phrase hangs the success of every marriage and family. In the light of Christ’s love we see our family’s divine potential. We love them with all our heart, soul, and mind. And as we do, our ordinary family is transformed into an extraordinary one. Whenever I think about love and what that really entails, I am reminded of President Uchtdorf's conference talk, Of Things That Matter Most. He literally spells out what love is when he says, "in family relationships love is really spelled T.I.M.E". I will never forget that talk or hearing those words. The are burned in my mind forever. I am constantly in a battle trying to do the laundry, cooking, cleaning, dishes, errands... It is exhausting! But we do it because we LOVE our family right? As I throw in a load of laundry and shoo away my daughters so I can get more done. I think, "LOVE is really spelled time... " What a blessing the whispering of the Holy Ghost can be. Truth is, they will never remember how much laundry I folded and put away for them! So I take to the floor and play on their level with them, which is something they will remember. I mean really... Think about the last time you spent 30 minutes of undivided attention on someone you love. To carve out 30 minutes of a day as a mother where you do nothing but focus on your kids is MUCH harder than it sounds- no cooking, playing on the phone, laundry or mind wandering... but the blessings and relationships I have been so blessed to form with my daughters and the love we have each felt when I give all my attention and time to them is miraculous. You should try it! Love in family life isn't always glitter and unicorns in fact, the greatest joys and the greatest sorrows we experience are in family relationships. The joys come from putting the welfare of others above our own. That is what love is. And the sorrow comes primarily from selfishness, which is the absence of love. When I feel really happy- that pure joy feeling I often ask Brian, "how I am so blessed to have you?". That kind of love comes from both of us caring more about each other than we do about ourselves. Everyday there are instances where either of us can choose to be selfish, but we often choose to love the other more and it makes all the difference. Let us not forget love is also spelled time for our spouse. They also deserve your undivided attention, sacrifice, and expressions of love. Take advantage of those minutes, hours, days, weeks, months, or years you may have left in life and spend that TIME to show true LOVE. 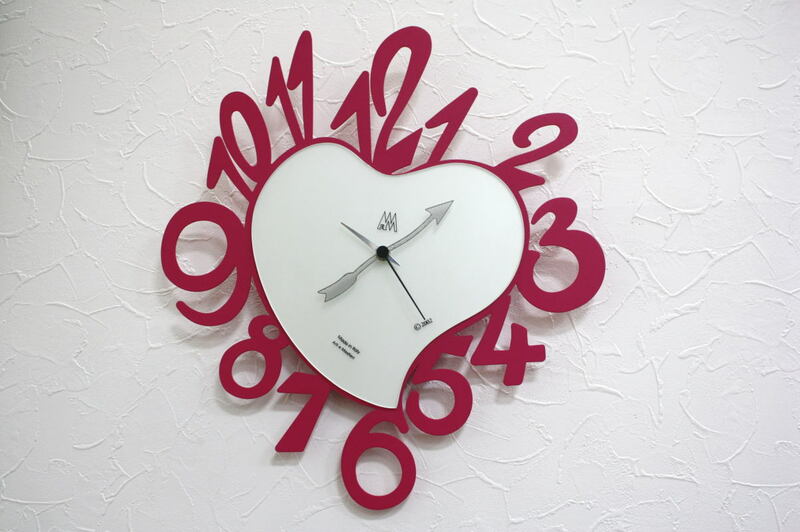 With this month of LOVE half over, I hope it comes to your mind often that LOVE is spelled TIME. The last few weeks in Primary I've been teaching the kiddos a new song called "Where Love Is." One line that's really stuck with me is "Where love is, we want to be." How true is that for you? For me it is a definite truth. The times when I've been struggling the most have been when I haven't felt loved by other people, but mostly when I haven't loved myself. Love is such an important part of life. Everyone wants to feel loved and needed. A little over a year ago, after working through some major limiting beliefs I had about myself (I'm not enough, I'm a failure, etc. ), I had an epiphany. I had finally cleared out enough junk that I could see that my feeling of not being loved was actually me trying to protect myself from being hurt again. Love surrounded me. My family loved me, My boyfriend, who would soon become my husband, loved me. I really did love me. Above all, my Heavenly Father loved me! When I realized that all I had to do was take in all the love around me and absorb it, I felt like my whole world changed! I went from fighting love, to embracing love in all its forms. When I started taking in all the love, I was better able to spread love around as well. Have you ever felt as if no one loves you? If you have and even if you haven't, I challenge you to open your heart and look for the love that surrounds you. You will find more love than you ever dreamed possible just waiting for you to see it. Another Primary song reminds us to look for the love of our Heavenly Father. February Challenge: This month as you are going about your days, look for ways love is all around you. Take it in. Enjoy it. Then share it with others. Share your discoveries and how you shared love with others on Facebook and Instagram. 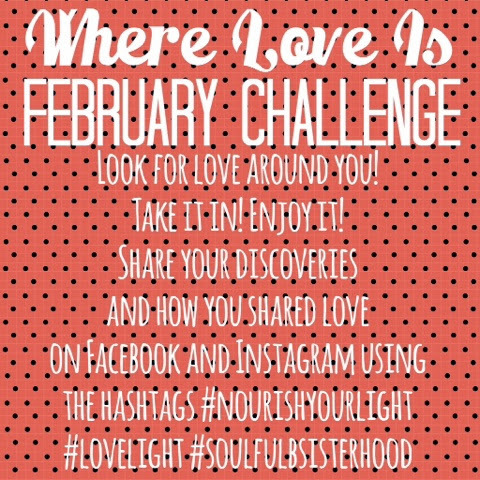 Use the hashtags #lovelight #nourishyourlight #soulfulbsisterhood.